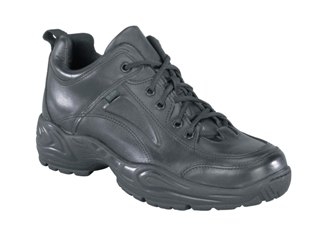 Reebok low waterproof Gortex lined athletic shoes guaranteed to keep your feet dry. Postal Certified and Made in the USA. Available in men sizes only 6 thru 12 whole and half sizes in Medium and Wide, 13 Med and Wide, and 14 M. No ladies sizes, however these shoes will fit ladies 7.5 and up if you order 1.5 sizes smaller than you wear in a ladies sizes. (Example: Ladies shoe size 7.5M or W would wear mens size 6M. Copyright © Anns Uniform Center, Inc. All Rights Reserved.